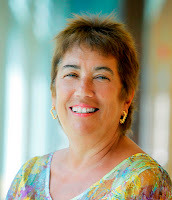 A graduate of Bryn Mawr College, Barbara Vinick received her Ph.D. in Sociology from Boston University and conducted post-doctoral research in Human Development at Harvard University. As a research gerontologist at the Department of Veterans Affairs in Boston, she authored and co-authored books and articles that examined the lifestyles, attitudes, and experiences of mature Americans. She edited Esther’s Legacy: Celebrating Purim Around the World at the Hadassah-Brandeis Institute, where she collected and edited the stories for Today I Am a Woman. Barbara is secretary of Kulanu (“All of Us” in Hebrew), an organization that helps isolated and emerging Jewish communities around the world. A resident of Swampscott, MA, she is grandmother to four delightful young girls. Shulamit Reinharz was born in Amsterdam, grew up in New Jersey, received her B.A. from Barnard College and her Ph.D. from Brandeis University. She was on the psychology faculty of the University of Michigan for ten years, and then returned to Brandeis where, as director of the Women's Studies Program, she created the first graduate program in Jewish Women's Studies in the world. In 1997 she founded the Hadassah-Brandeis Institute, which she heads to this day. The holder of the Jacob Potofsky Chair of Sociology, Shula is the author or co-author of 11 previous books, including American Jewish Women and the ZionistEnterprise (UPNE), Jewish Intermarriage around the World (Transaction Books), and The JGirls' Guide (Jewish Lights). The mother of two daughters and grandmother of one adored baby girl, she is married to Jehuda Reinharz, former president of Brandeis University.